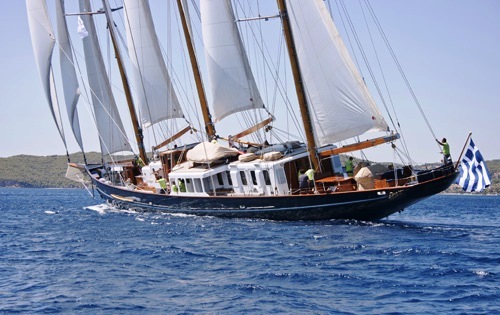 FLEURTJE was launched in 1960. 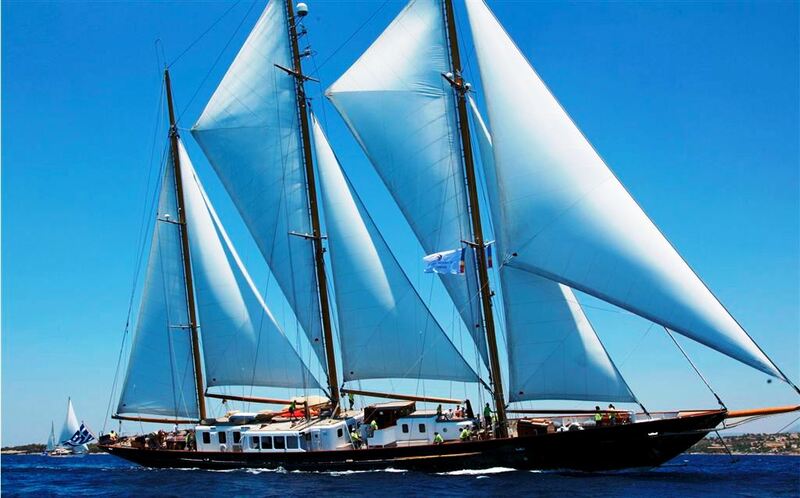 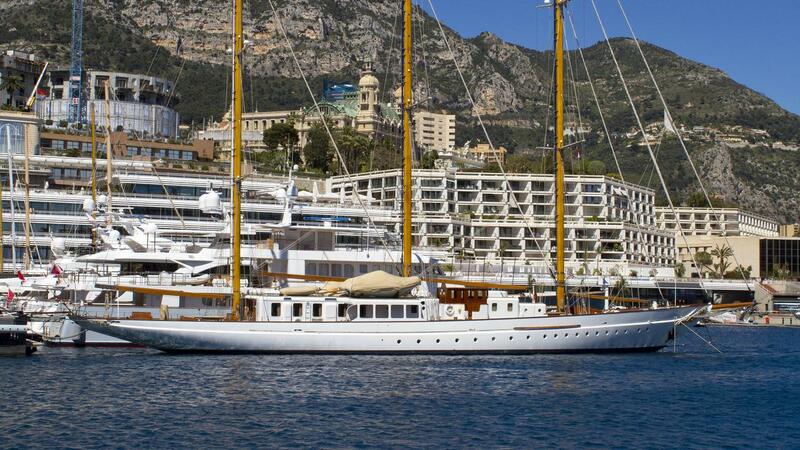 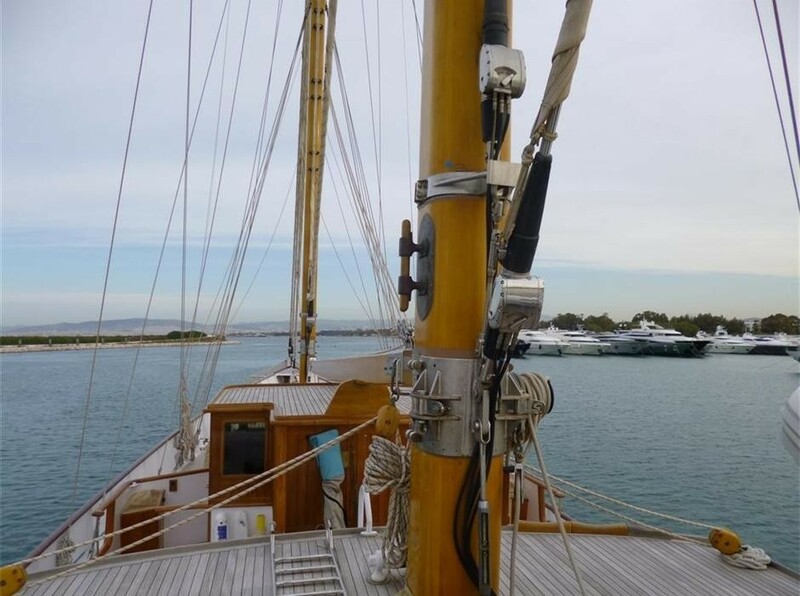 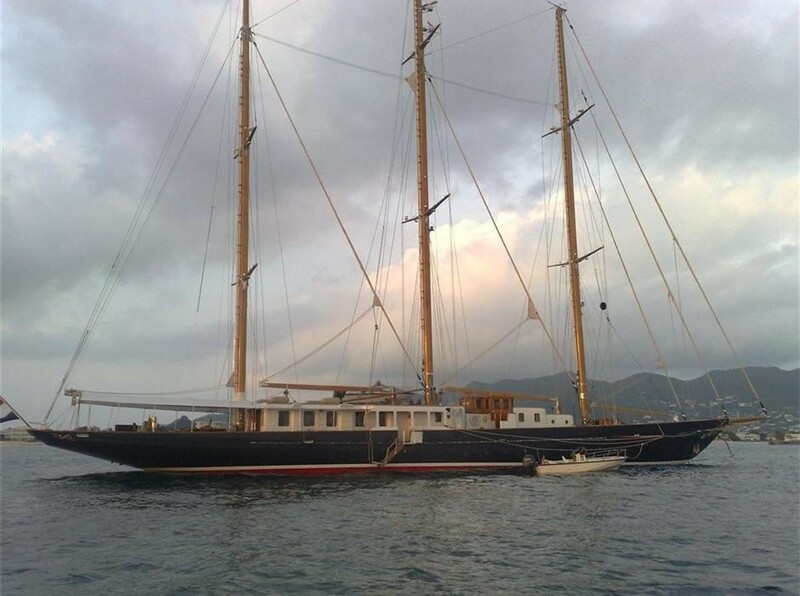 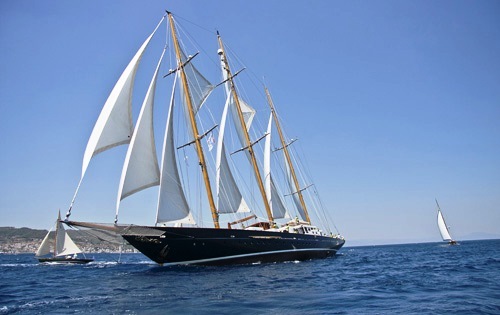 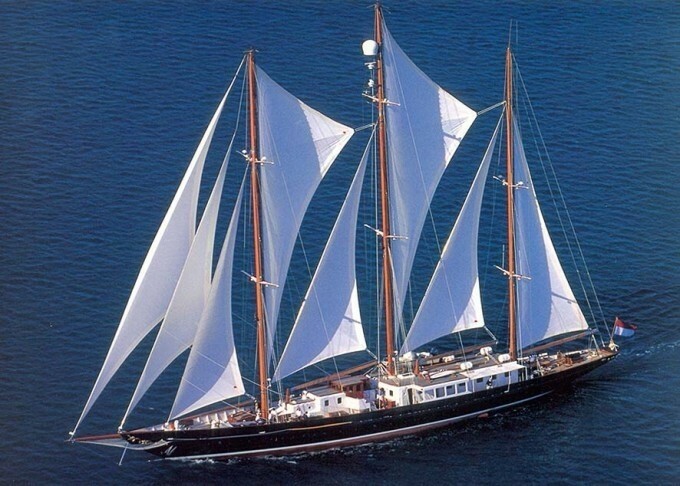 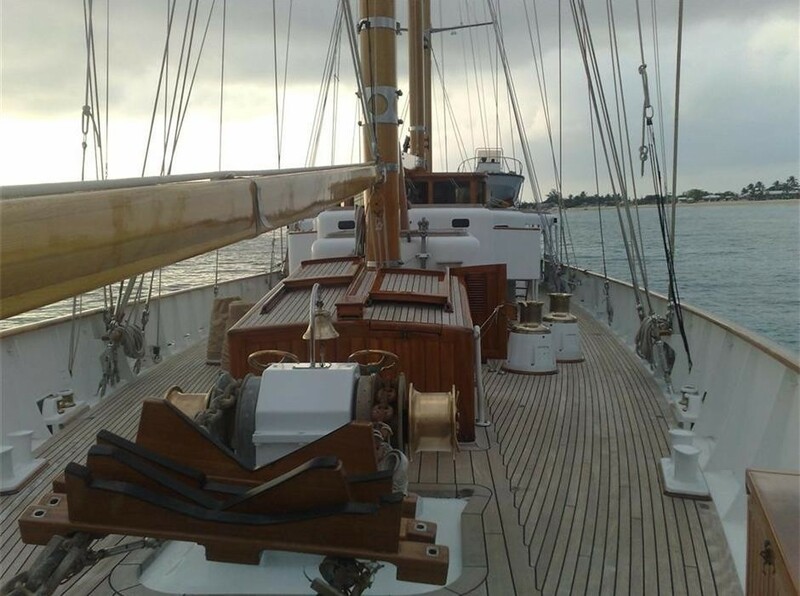 Built by De Vries Lencht Jr. of Holland and designed by Robert Clark, she has been maintained and refitted throughout her life with the last full refit in 2005. 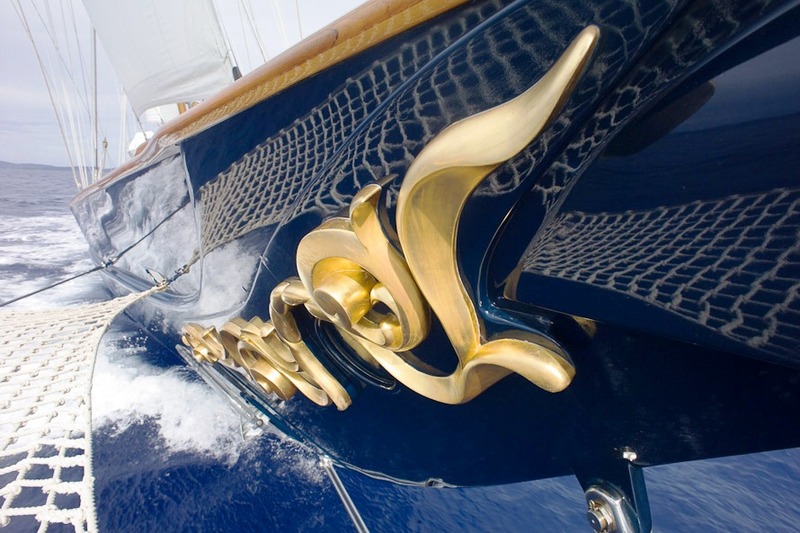 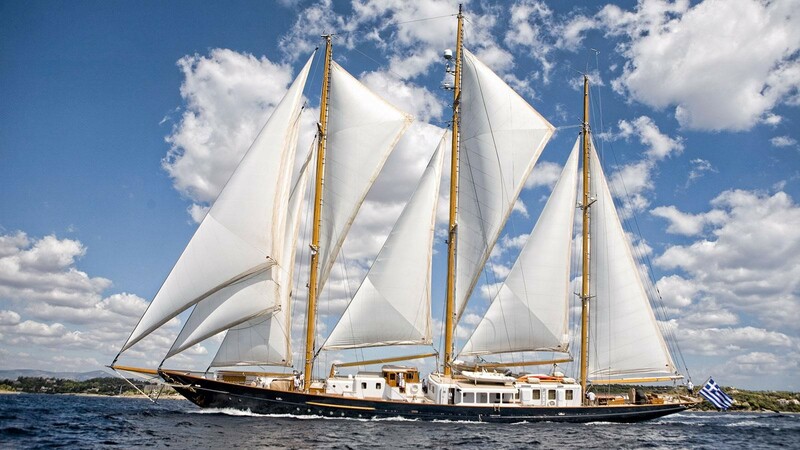 FLEURTJE is a stunning and elegant ship boasting a rich steel blue hull and sparkling white aluminum super structure, with her bow sprit proudly forward and her stern gracefully overhanging aft she measures a total of 57m (187ft) and can accommodate up to 12 guests in 6 cabins. 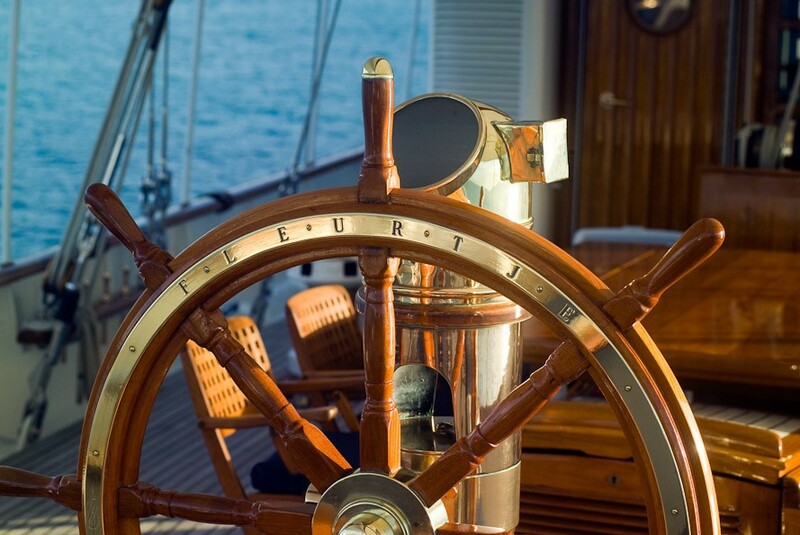 FLEURTJE has a refined and tasteful interior designed by Leila Kennedy. 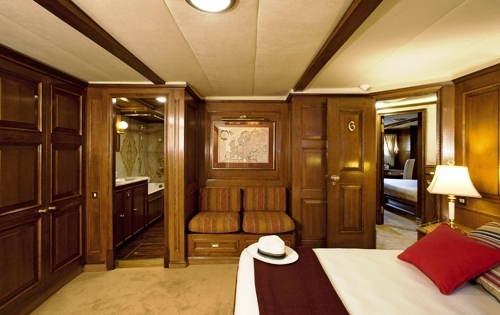 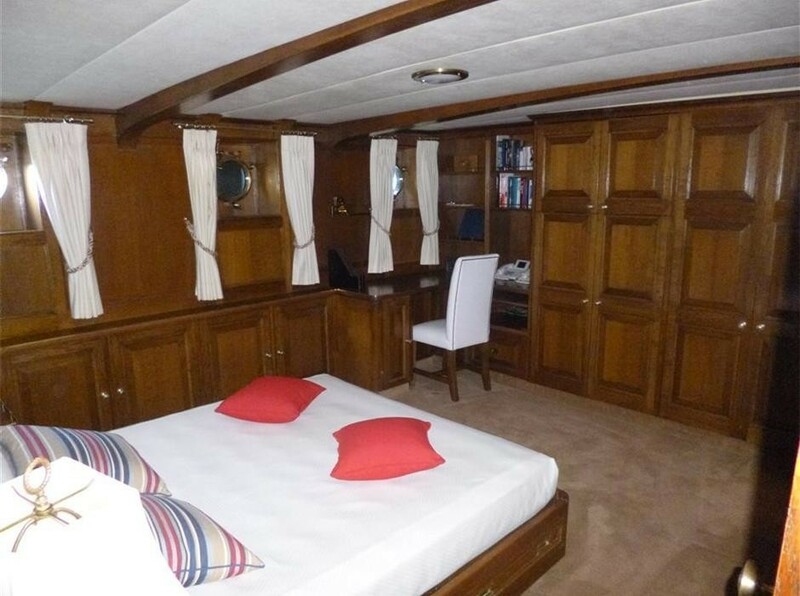 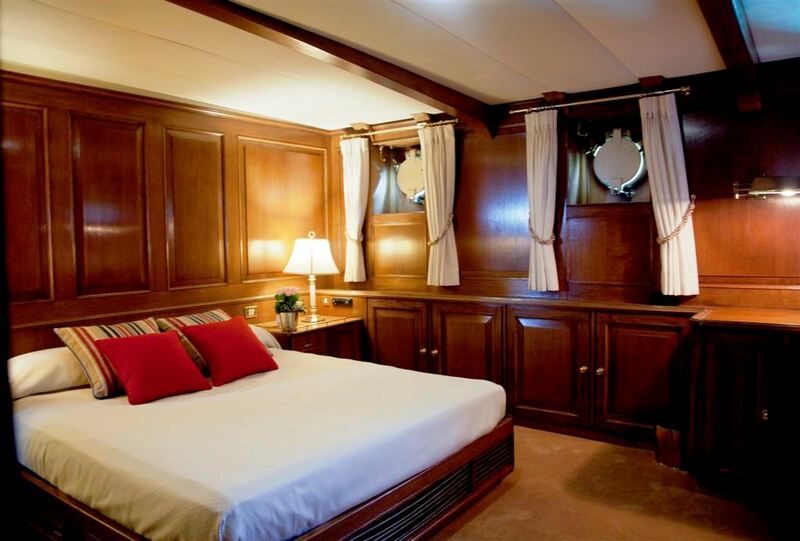 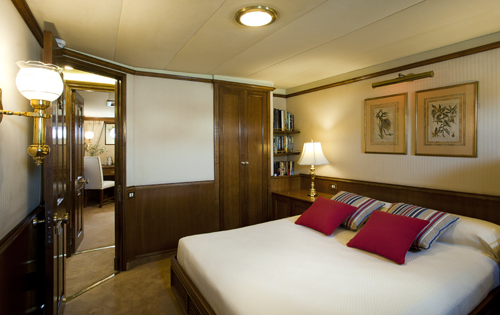 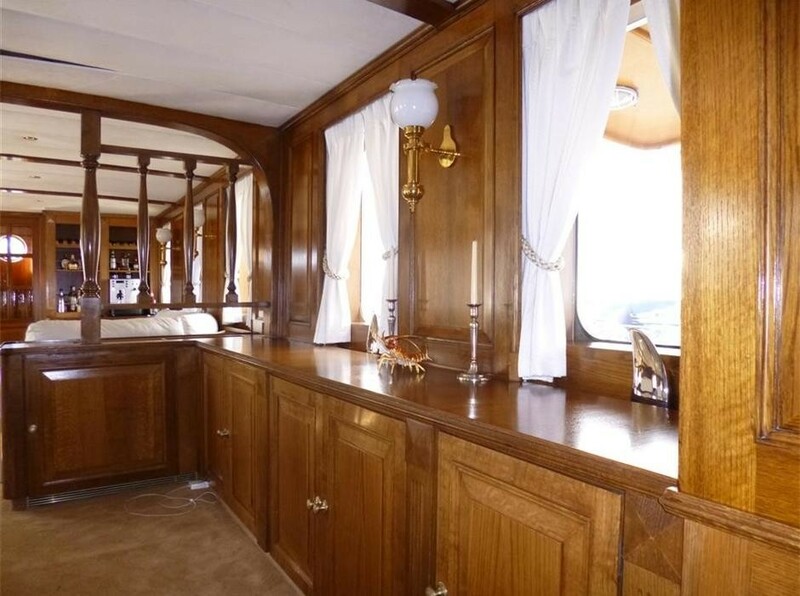 The captain’s double cabin and radio room are situated in the forward deck house. 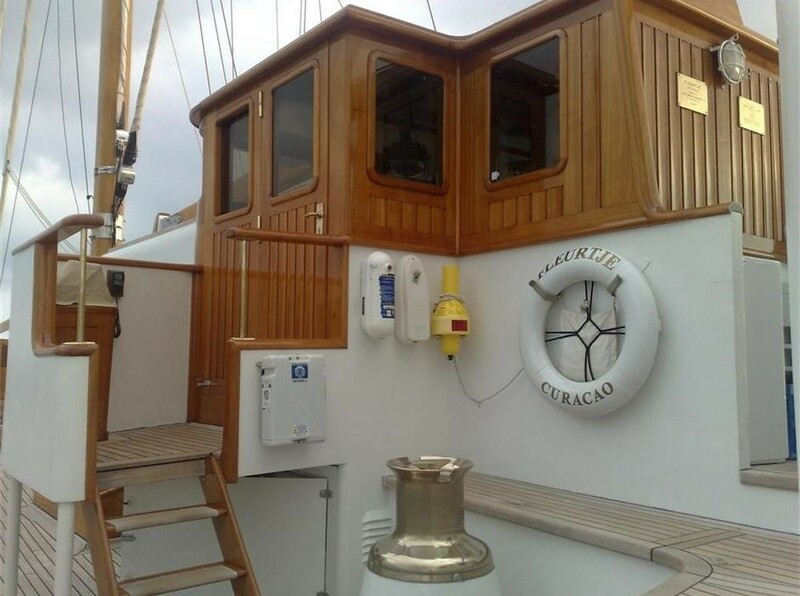 The aft deckhouse houses the full beam galley, which opens on the port and starboard side decks. 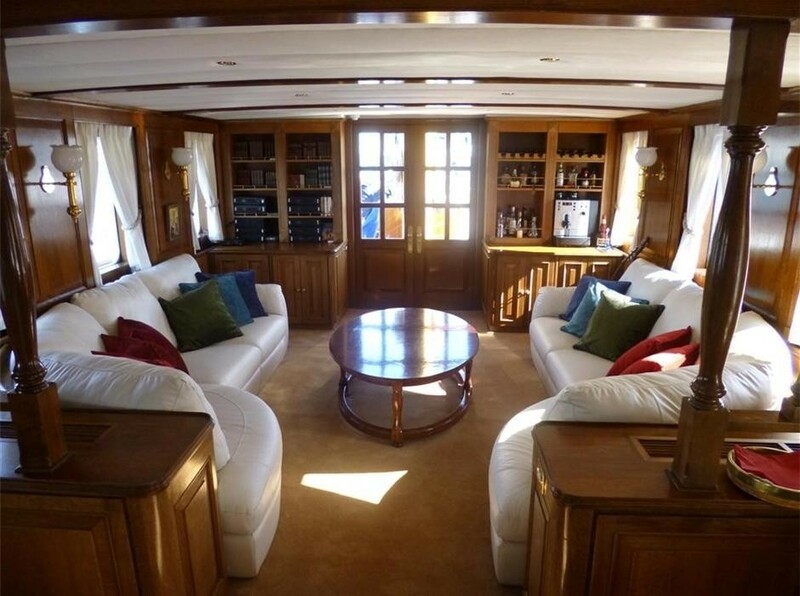 Further aft a passage gives access to the salon and dining, plus the owner’s and guest accommodation. 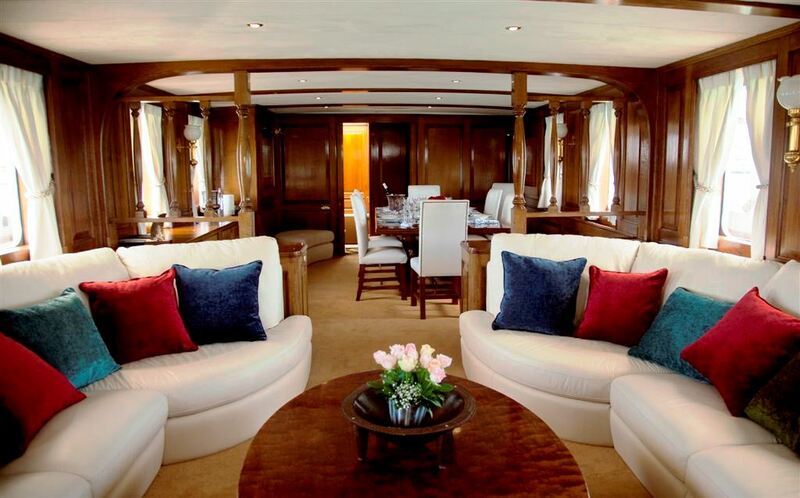 The salon and dining are in an open plan featuring traditional deck heads with wood beams, oak panels and large windows, polished brass fittings lend a stylish atmosphere, while crisp white soft furnishings and a pop up plasma TV bring the modern comforts. 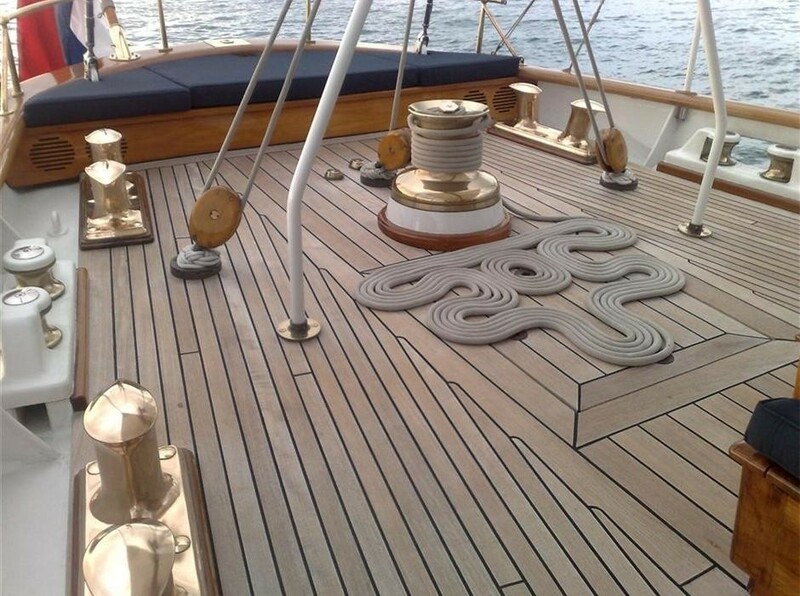 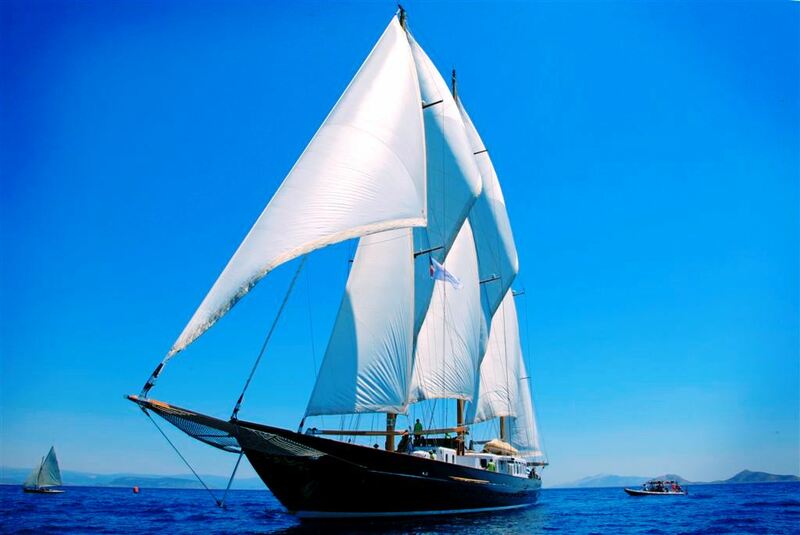 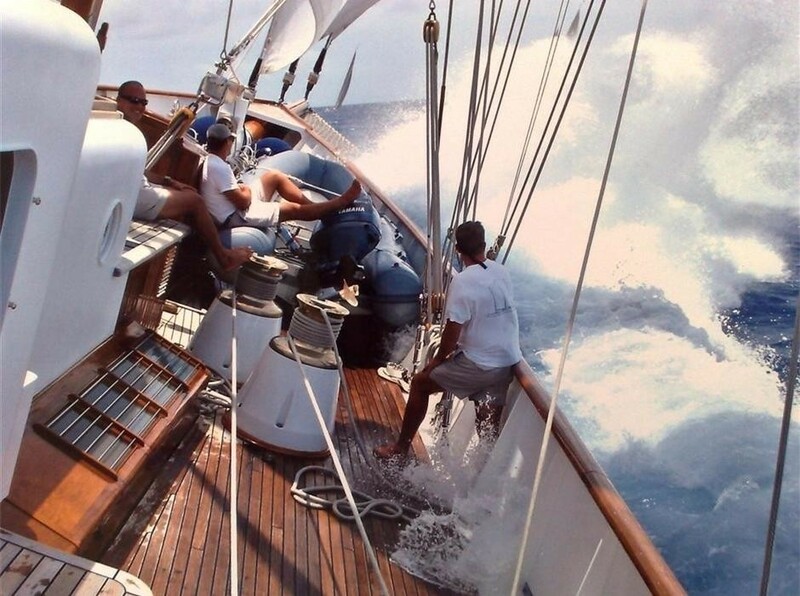 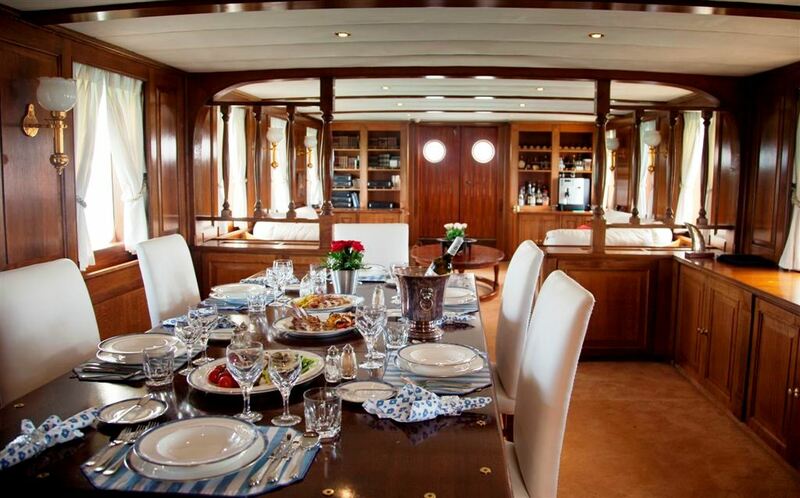 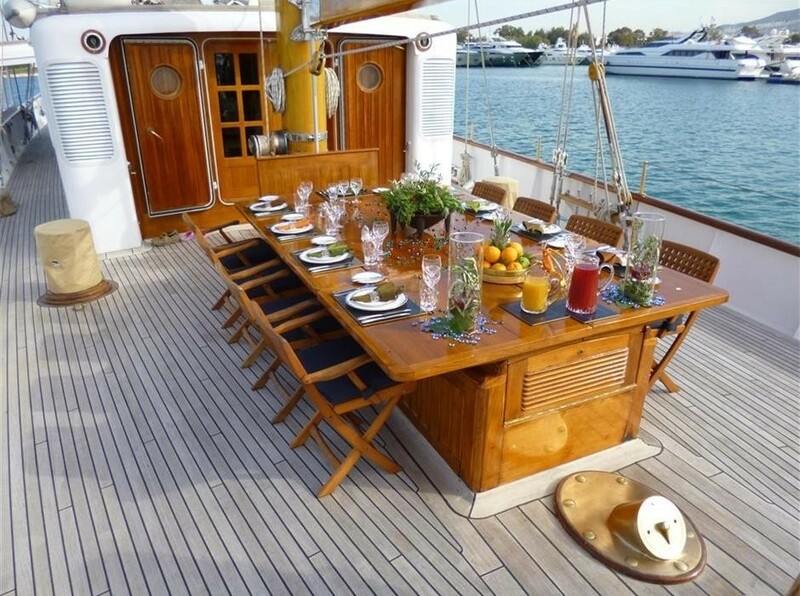 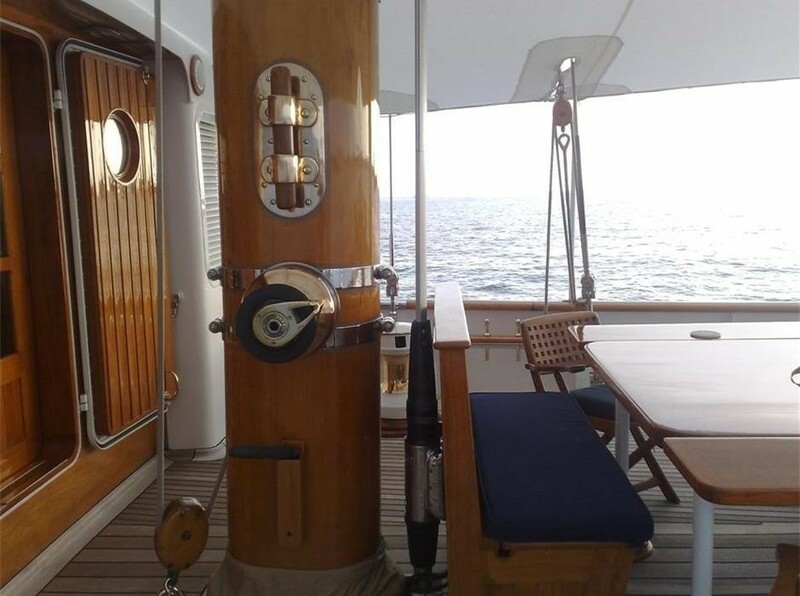 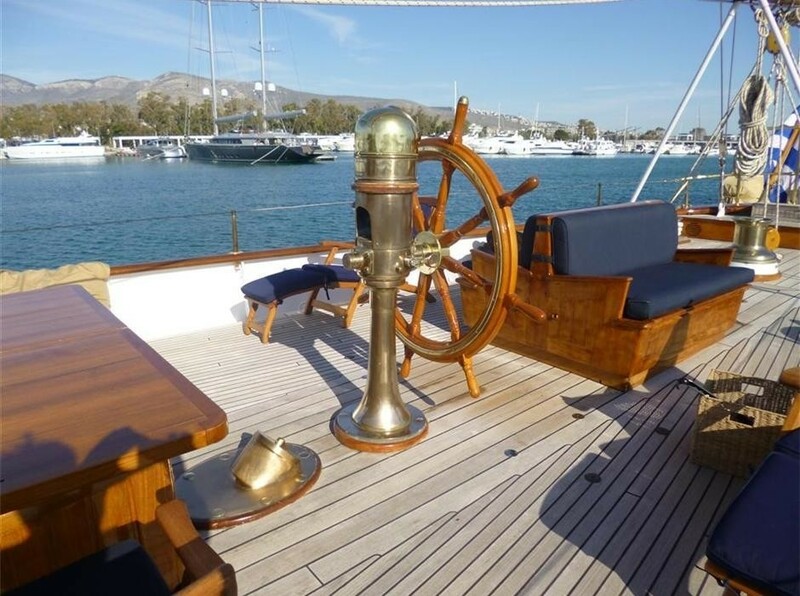 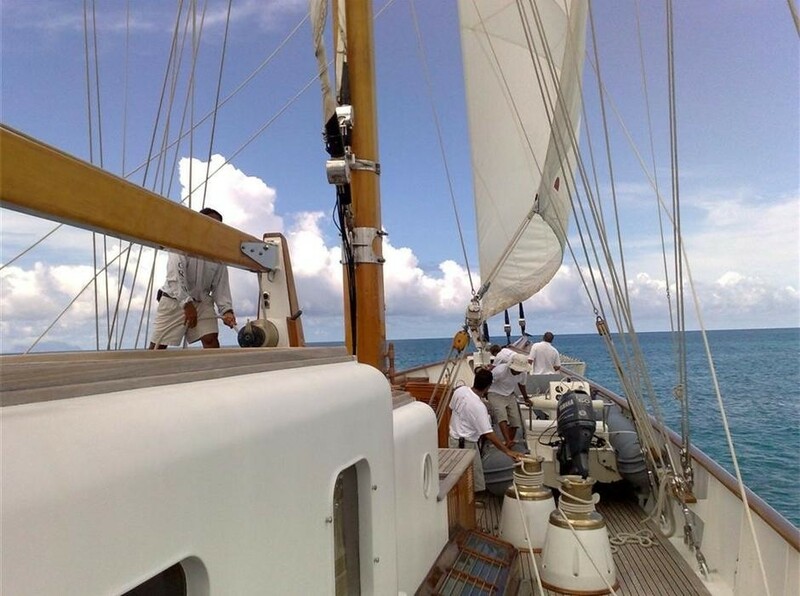 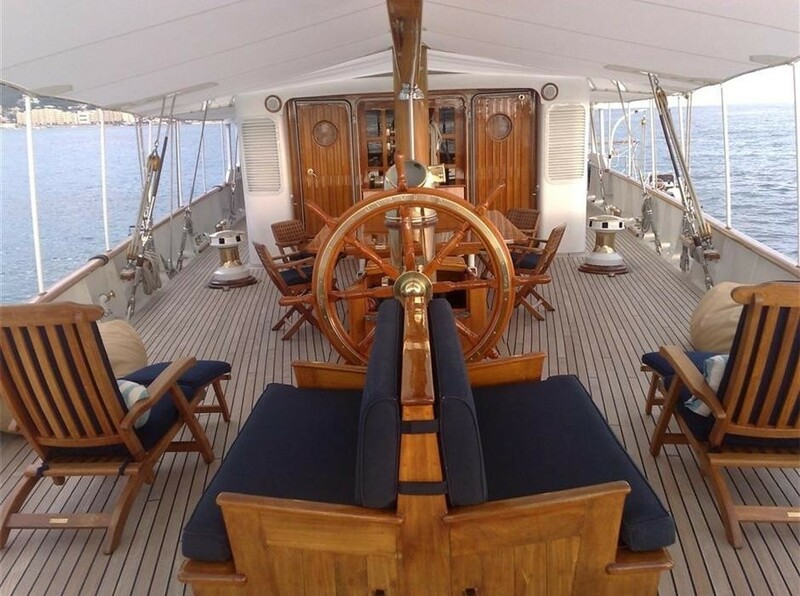 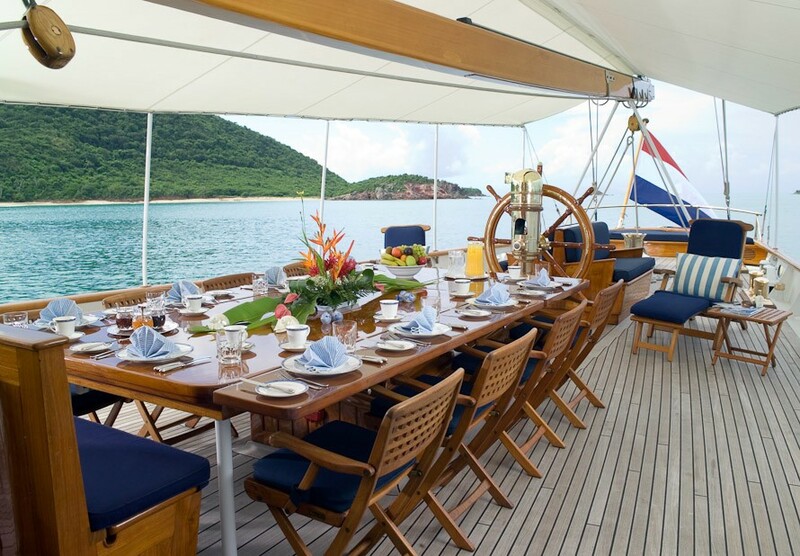 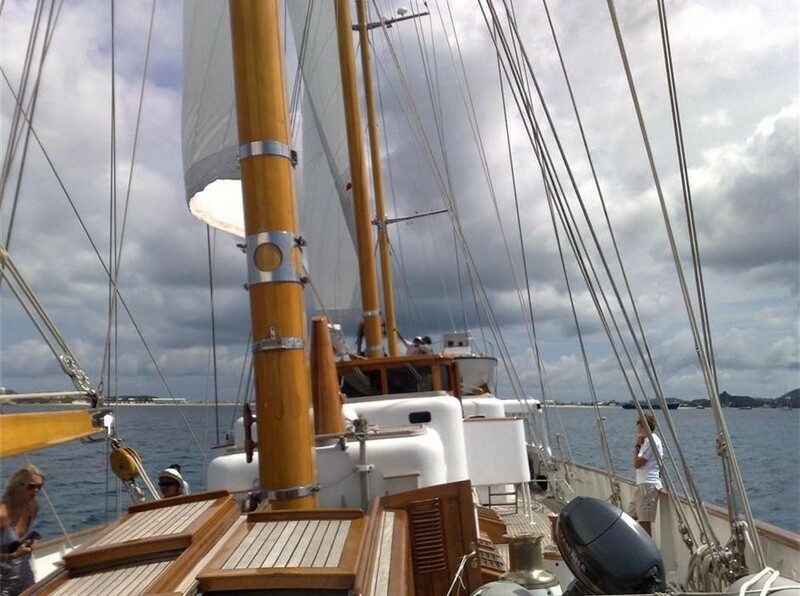 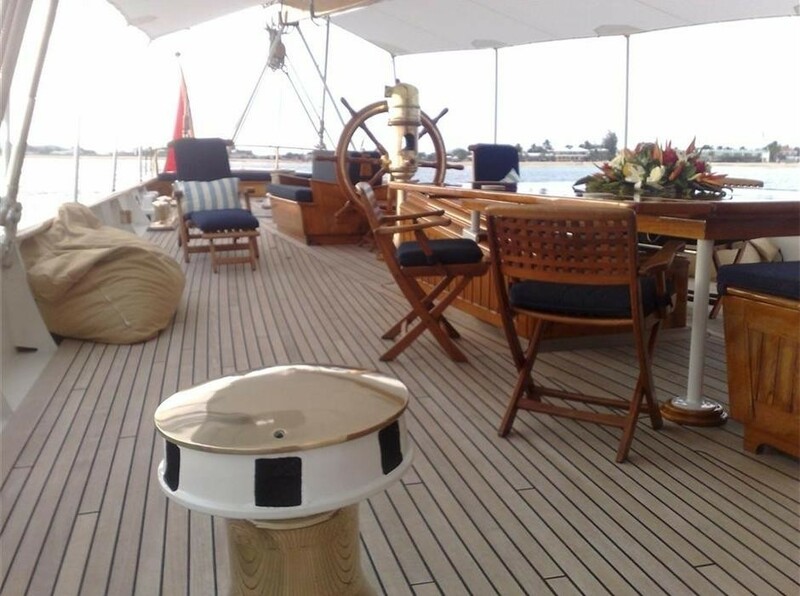 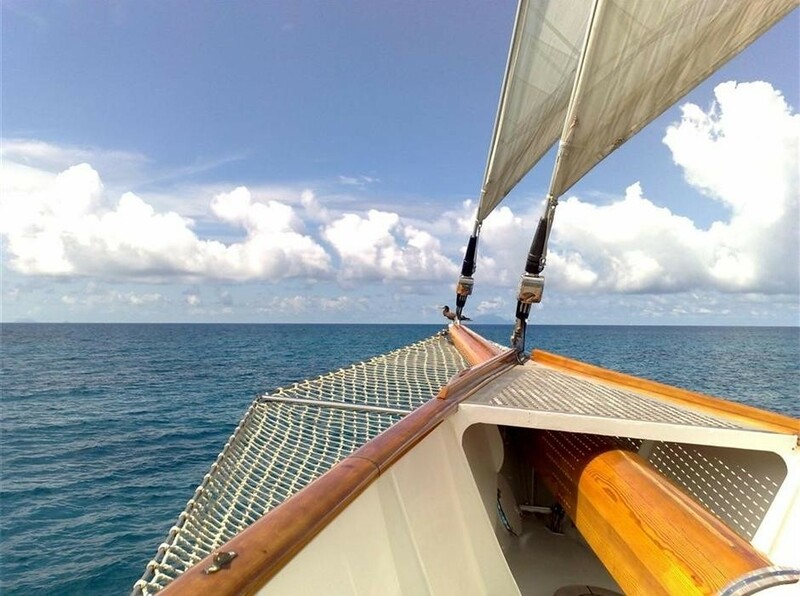 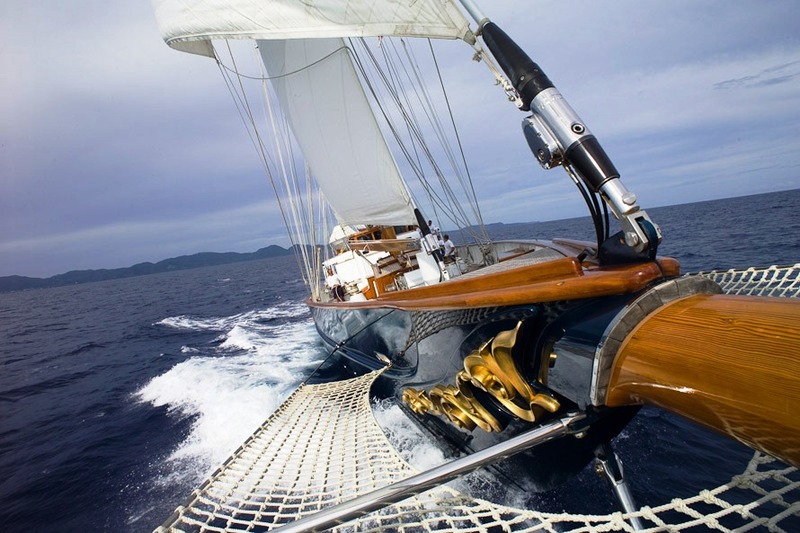 The yacht offers guests ample teak deck areas to relax. 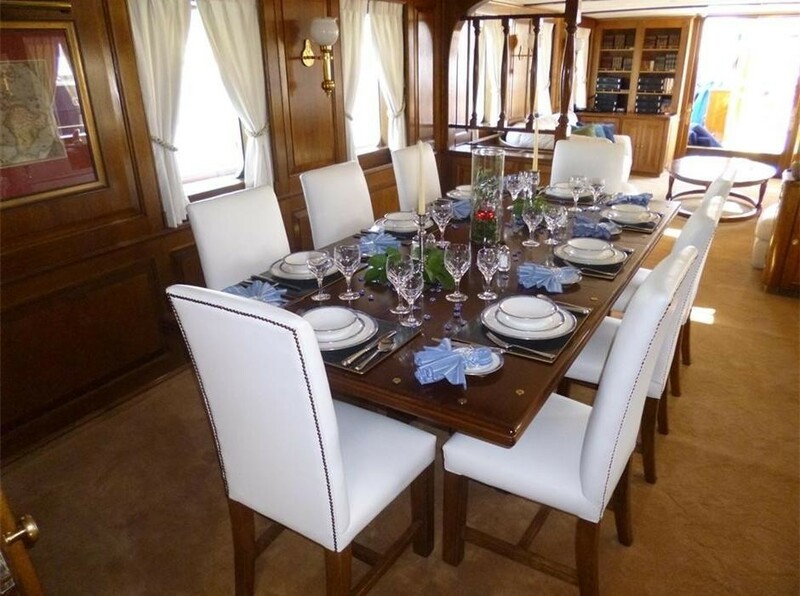 The aft deck is spacious with an alfresco dining option and optional Bimini cover, aft is additional seating and a traditional helm and binnacle. 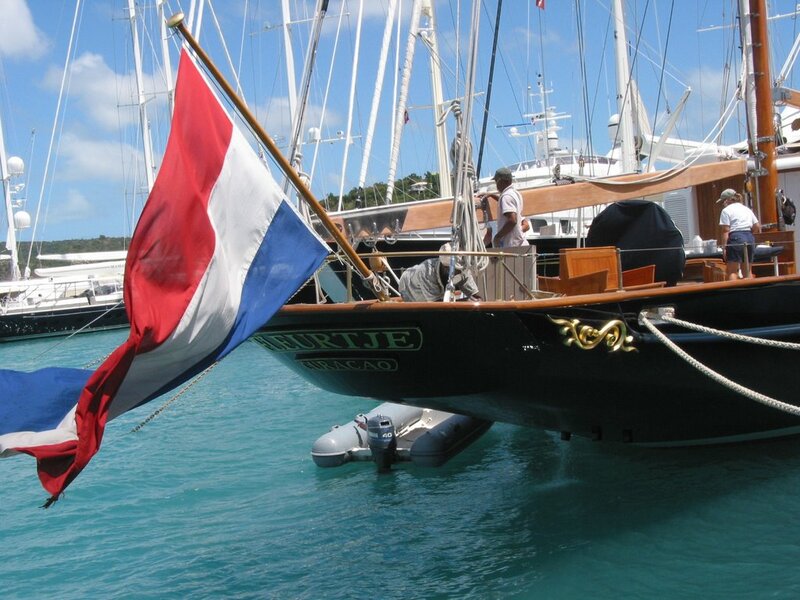 FLEURTJE has wide decks, easy to maneuver around all the way forward. 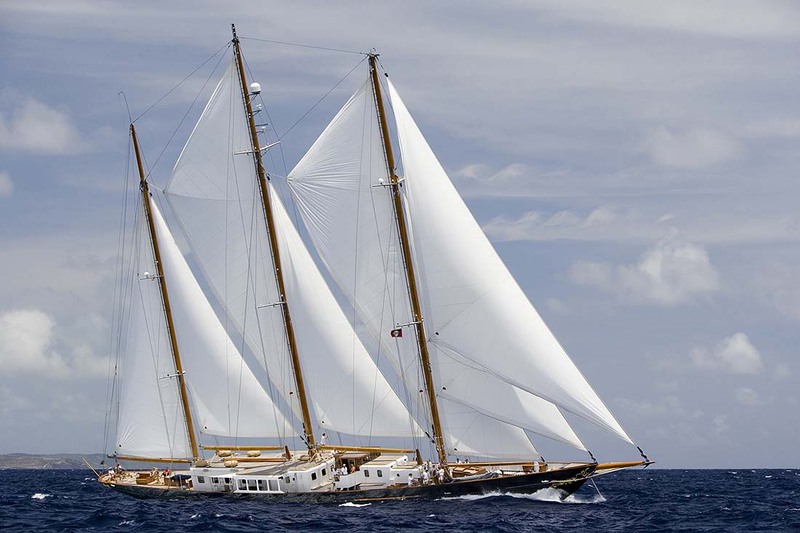 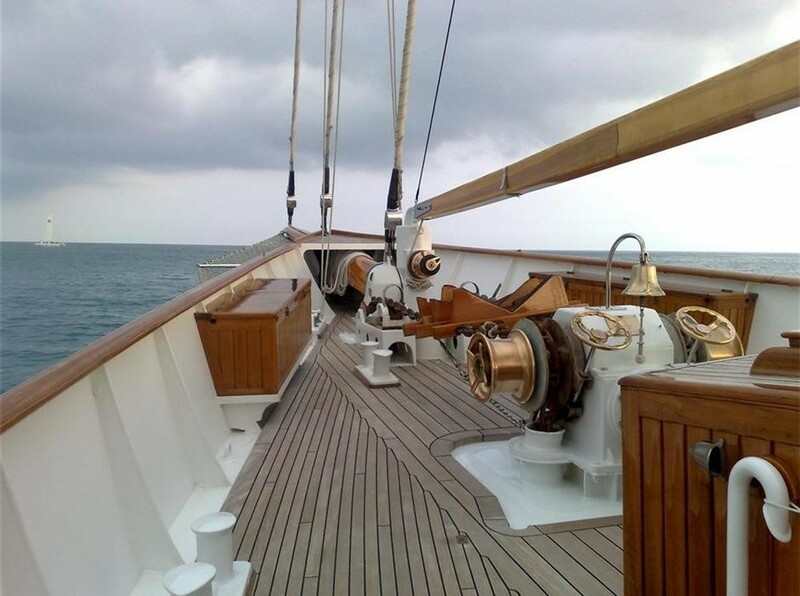 FLEURTJE has 3 Douglas fir masts with Norwegian Spruce booms carrying a total of 946 square meters of canvas on 8 sails, enabling impressive sailing performance. 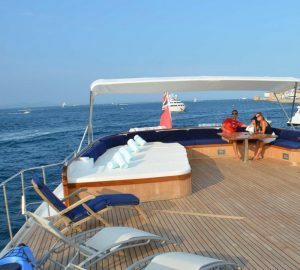 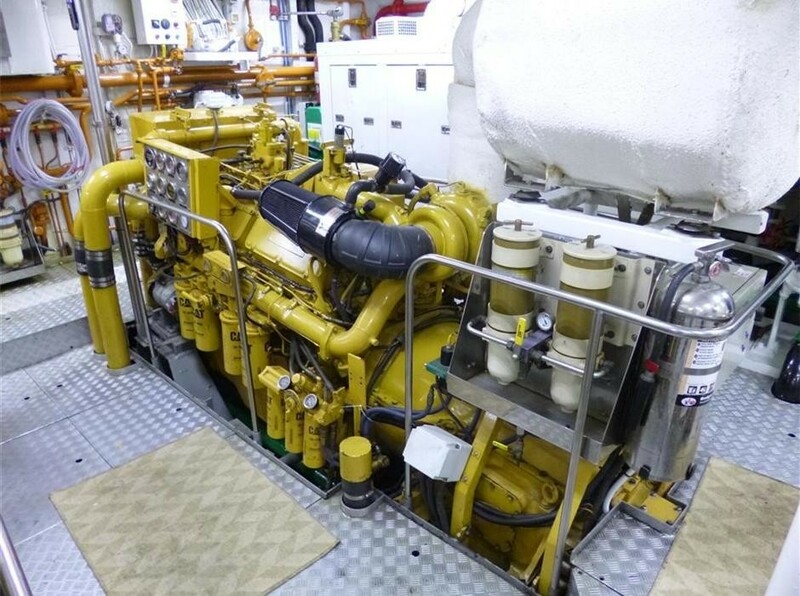 She has a beam of 8.7m (28.8ft) and a draft of 4.8m (16ft), she is powered by 2 CAT 624HP engines and is capable of speeds of 12 – 15 knots. 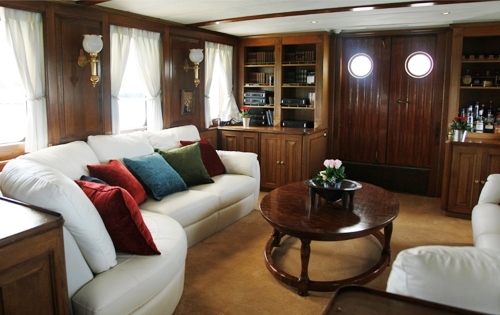 FLEURTJE can accommodate 12 guests in 6 cabins. 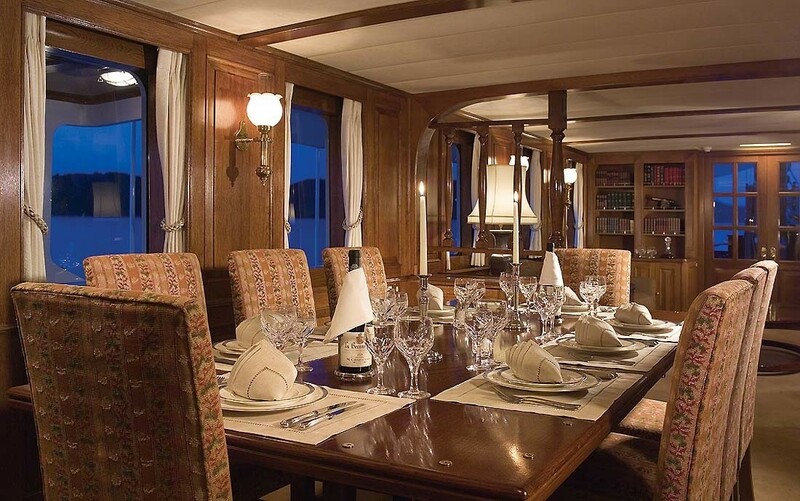 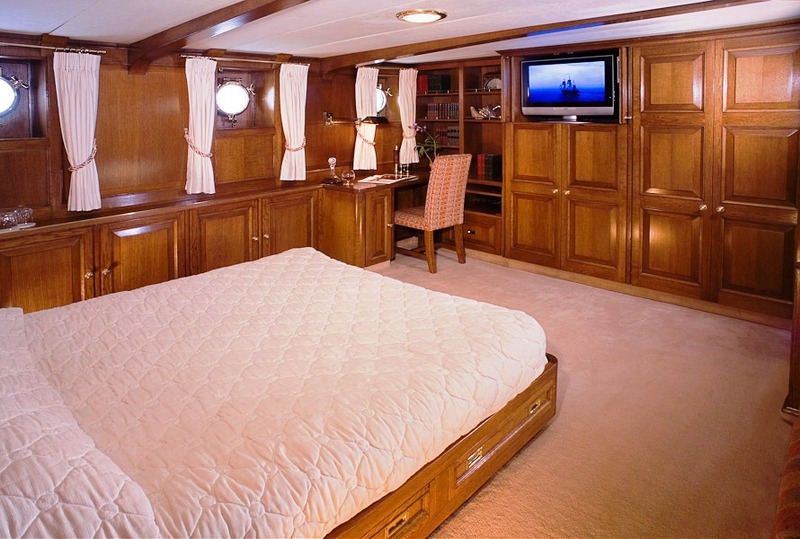 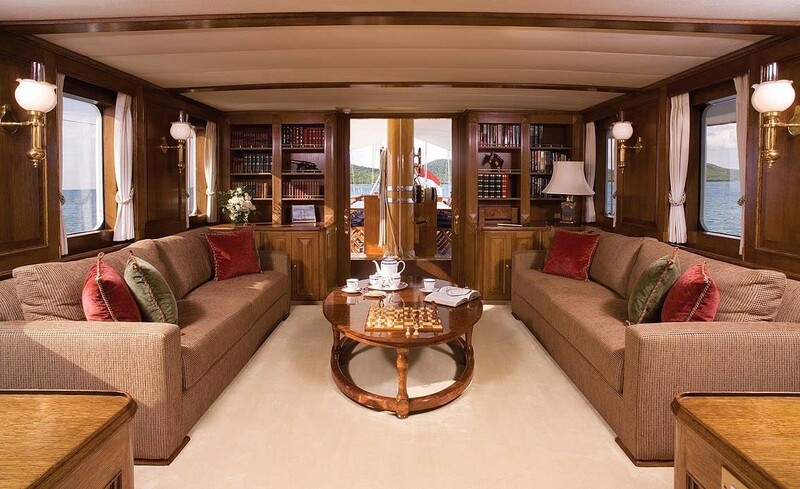 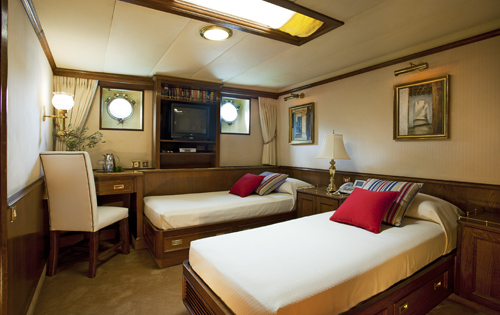 All Guests cabins are below decks amidships, creating generous spaces. 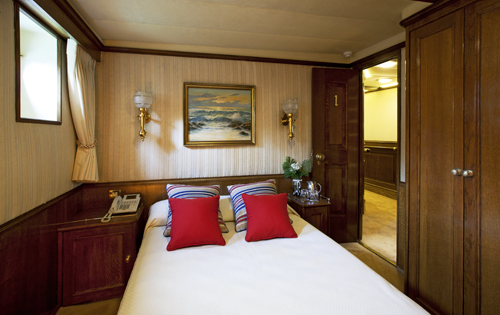 There is one Master cabin, 2 Guests double cabins, 2 Twin cabins and 2 Single cabins with Pullman berths. 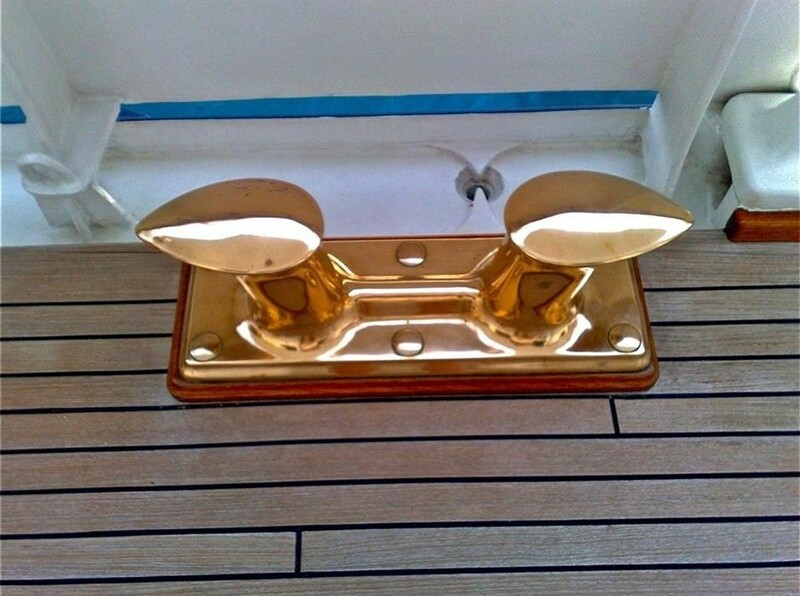 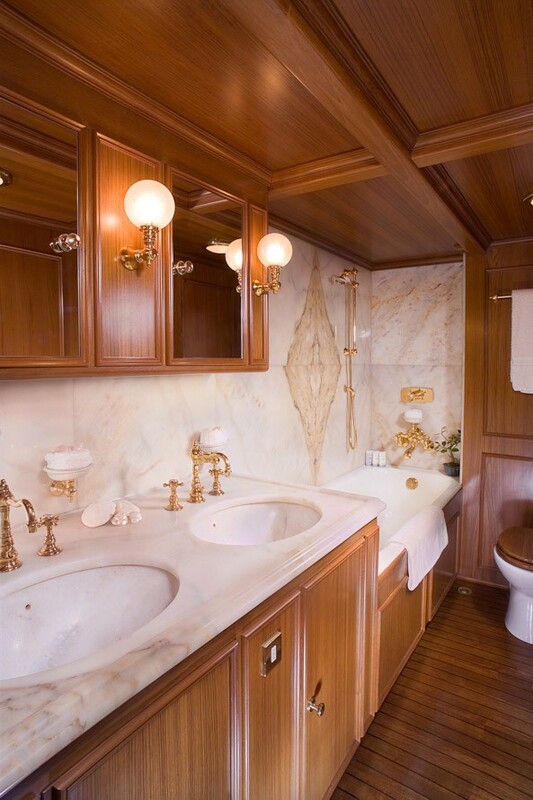 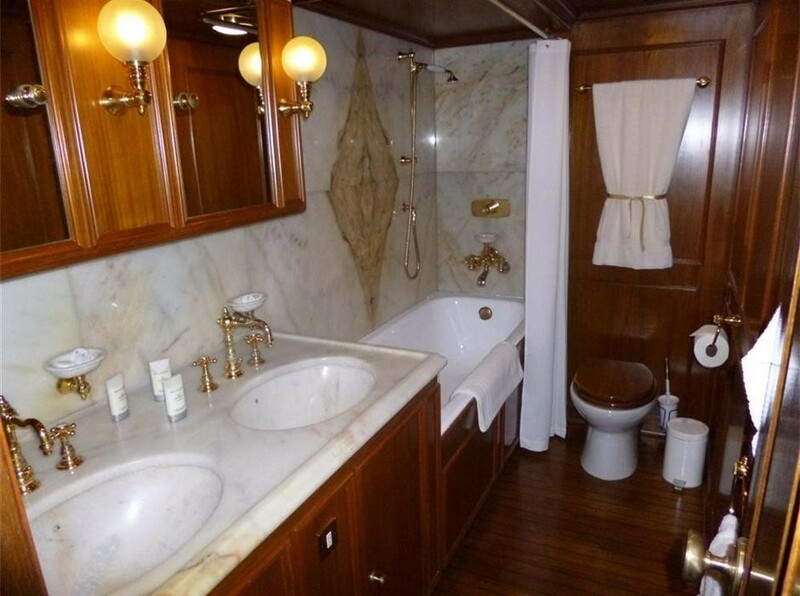 All cabins have en-suite facilities with tubs and are adorned in fine marble, polished teak and glimmering gold plated fittings.